Dentons Rodyk - Minority oppression claims and arbitration - can these seat together comfortably - maybe? Minority oppression claims and arbitration - can these seat together comfortably - maybe? In Silica Investors Ltd v Tomolugen Holdings Ltd and others  3 SLR 815, the defendants applied to stay court proceedings in favour of arbitration. The decision of the Singapore High Court is significant for two reasons. First, the Court clarified that, on the issue of the scope of an arbitration clause, if a sufficient part of the factual allegations underlying the claim is related to the contract, then in accordance with the likely intention of parties, the entire claim must be treated as falling within the arbitration clause in the contract. Second, the Court held that a minority oppression claim under s 216 of the Companies Act (Cap 50, 2006 Rev Ed) may or may not be arbitrable, depending on all the facts and circumstances of the case, but it indicated that many if not most of the minority oppression claims would be non-arbitrable. The plaintiff entered into a share sale agreement (“the Share Sale Agreement”) with the second defendant for 4.2% of the shares in the eighth defendant. The Share Sale Agreement contained an arbitration clause. The first and second defendants were together the majority and controlling shareholders, while the third to seventh defendants were the directors and/or shareholders of the eighth defendant. The plaintiff alleged that it had been oppressed as a minority shareholder of the eighth defendant and commence a minority oppression claim pursuant to s 216 of the Companies Act (Cap 50, 2006 Rev Ed) (“the CoA”) against the defendants, seeking reliefs which included a buyout order, an order to regulate the conduct of the eighth defendant and/or an order for the winding up of the eighth defendant. The defendants applied to stay the proceedings under s 6 of the International Arbitration Act (Cap 143A, 2002 Rev Ed) (“the IAA”) and/or the inherent jurisdiction of the court. The assistant registrar refused the stay application, and the defendants appealed to the High Court. The High Court similarly refused the stay application. if issue (a) was answered in the affirmative, whether a claim under s 216 of the CoA was arbitrable. 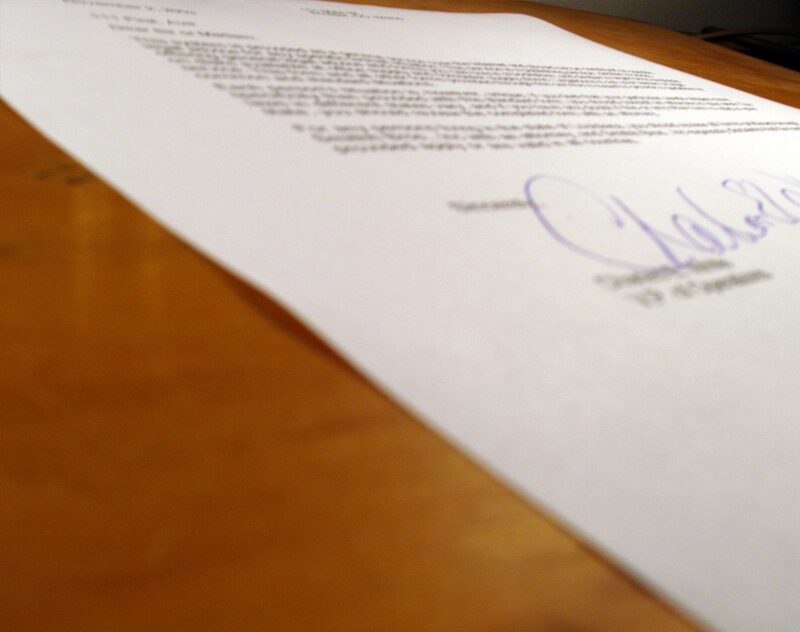 whether the plaintiff’s claim falls within the scope of the arbitration clause. Regarding what was the proper characterisation of the plaintiff’s claim, the Court clarified that the “matter” should be identified by reference to the essential dispute between the parties and not mere issues that were to be determined in the course of the proceedings. In the present case, the Court held that the matter to be determined was whether the affairs of the eighth defendant were being conducted and managed by the defendants in a manner that was oppressive. As for the scope of the arbitration clause, the Court noted that the approach stated in Larsen Oil was that arbitration clauses should be generously construed such that all manners of claims, whether common law or statutory, should be regarded as falling within their scope unless there was good reason to conclude otherwise. In the present case, the Court held that the arbitration clause was very widely drafted and there was no indication that the parties intended to exclude statutory claims, specifically claims under s 216 of the CoA. In addition, the scope of the arbitration clause must be determined in the context of the Share Sale Agreement as a whole, which governed not only the transaction of the shares in the eighth defendant, but also the relationship between the plaintiff and the second defendant as shareholders of the eighth defendant. The court had to consider whether the factual allegations underlying the claim were within the scope of the arbitration clause, regardless of the legal label assigned to the claim. To do that, the court had to ascertain the relationship between the factual allegations underlying the claim and the contract that incorporates the arbitration clause. The Court noted that the Court of Appeal stated that a matter would fall outside the scope of the arbitration clause only if it was unrelated to the contract that contained the arbitration clause (in Tjong Very Sumito v Antig Investments Pte Ltd  4 SLR(R) 732). However, this did not necessarily mean that the matter would fall within the scope of the arbitration clause if it was in any way related to the contract containing the arbitration clause. If a sufficient part of the factual allegations underlying the claim related to the contract, then in accordance with the likely intention of parties, the entire claim must be treated as falling within the arbitration clause in the contract. In the present case, despite the fact that only two out of the four allegations make reference to the provisions in the Share Sale Agreement, the matter had a sufficiently close connection to the Share Sale Agreement because a sufficient part of the factual allegations underlying the claim related to the contract. A minority oppression claim may or may not be arbitrable, depending on all the facts and circumstances of the case. The remedy or relief asked for should not assume overriding importance as that would enable litigants to manipulate the process and evade otherwise binding obligations to refer their disputes to arbitration. Many if not most of the minority oppression claims would be non-arbitrable. This would often be in cases where, eg, there were other shareholders who were not parties to the arbitration, or the arbitral award would directly affect third parties or the general public, or some claims fell within the scope of the arbitration clause and some did not, or there were overtones of insolvency, or the remedy or relief that was sought was one that an arbitral tribunal was unable to make. Minority oppression claims may be more likely to be arbitrable where all the relevant parties (including third parties whose interests may be affected) were parties to the arbitration, and the remedy or relief sought was one that only affected the parties to the arbitration. In the present case, the Court held that the plaintiff’s minority oppression claim against the second defendant was non-arbitrable as there were relevant parties, including other shareholders, who were not parties to the arbitration, and the plaintiff had asked for remedies that the arbitral tribunal could not grant, including winding up. Unlike an order for damages, which is essentially inter partes and can be granted by the arbitral tribunal pursuant to its power derived from the consent of the parties to the arbitration, there are some statute-based reliefs that would invariably affect third parties or the public at large such that they can only be granted by the courts in the exercise of their powers conferred upon them by the state. Examples include a judgment in rem against a vessel under the admiralty jurisdiction of the court and an order to wind up a company under the CoA. Specific to the remedies which may be granted in the context of minority oppression claims, the arbitral tribunal would not have the general power to vary any transaction or resolution under s 216(a) of the CoA, and that applied with even more force where third parties were involved, including shareholders who were not parties to the arbitration agreement. Absent any conferment of jurisdiction or power by the consent of the parties, or by the law of the seat or the governing law, an arbitral tribunal did not have the general power to order one shareholder-party to buy out the other shareholder-party on specific terms. Similar difficulties applied to an order regulating the future conduct of the affairs of the company or an order providing for a reduction in the company’s capital after a compulsory buy-out. Section 12(5) of the IAA, which provided that the arbitral tribunal “may award any remedy or relief that could have been ordered by the High Court if the dispute had been the subject of civil proceedings in that Court”, could not be construed as conferring upon arbitral tribunals the power to grant all statute-based remedies or reliefs available to the High Court. An arbitral tribunal clearly cannot exercise the coercive powers of the courts or make awards in rem or bind third parties who are not parties to the arbitration agreement. The First Approach. The first alternative approach is to allow the arbitral tribunal to make all the necessary findings of fact and whether there has been unfair prejudice or commercial unfairness, and where the tribunal finds that there was oppression, then the oppressed minority shareholder can carry on with the minority oppression claim before the court and it is for the court to make the appropriate orders, including the winding up of the company. However, the Court noted that there was an inherent risk that the court might disagree with the arbitral tribunal on the findings of fact as to the nature, type and extent of the oppression, and on the appropriate order to remedy such oppression. This raised further questions as to whether the court would be entitled to ignore the finding of oppression or refuse to grant the remedy recommended by the arbitral tribunal, and the effect of the 1958 Convention on the Recognition and Enforcement of Foreign Arbitral Awards. The Second Approach. The second alternative approach is to allow all minority oppression claims to go for arbitration; if the arbitral tribunal is of the view that a winding up or buy-out order is appropriate, then the parties can go to court to obtain the necessary orders, but if not, the award takes effect in the normal way. In the former case, the court adopts the findings and remedies proposed by the arbitrator and merely proceeds to enforce the same by making the appropriate order. However, the Court noted that the same problems raised for the First Approach applied, and there might be other shareholders who were not bound by the arbitration agreement. The Third Approach. The third approach relates to a situation where only some shareholders are bound by the arbitration agreement. In such a case, the court should allow those shareholders bound by an arbitration agreement to proceed to arbitration and stay all the proceedings in relation to those shareholders not bound by the arbitration agreement until the award is made. However, the Court noted that the court may come to a different conclusion from the arbitral tribunal as to the finding of oppression or the recommended remedy because the arbitral tribunal may not be able to compel non-parties to give evidence as witnesses and state their case. The Fourth Approach. The fourth approach is that all minority oppression claims are, as a matter of public policy, non-arbitrable. The Court found that the limitations of the powers of an arbitral tribunal to grant certain remedies militate towards this approach. It is clear that where the substantive rights and liabilities of the parties under the contract with an arbitration clause are not invoked per se (in other words the claim is not one in breach of that contract), but are relied upon as the basis of a claim in statute (for instance, minority oppression in the present case), the claim can still fall within the scope of the arbitration clause. Even if only some of the allegations forming the claim make reference to the provisions of the contract containing the arbitration clause, the entire claim must be treated as falling within the arbitration clause in the contract if a sufficient part of the factual allegations underlying the claim relates to the contract, then in accordance with the likely intention of parties. This is affirmation of the court’s approach of looking at the substance of the claim by considering the factual allegations underlying the claim, rather than being fixated by whether the claim makes express references to the provisions of the contract. This approach should discourage parties from resisting arbitration by taking too pedantic a reading of the claim and the arbitration clause, and is hence consistent with Singapore’s pro-arbitration stance. The Court’s preference not to state as a general rule that all minority oppression claims are non-arbitrable gives effect to party autonomy. However, linking the arbitrability of such claims to the remedy or relief sought may bring about difficulties. Even though the Court stated that the remedy or relief asked for should not assume overriding importance in determining whether a minority oppression claim is arbitrable, it indicated that a minority oppression claim was more likely to be arbitrable if the remedy or relief sought was one that only affected the parties to the arbitration. At the same time, the Court noted that because s 216(2) of the CoA provided that the order to be made in a minority oppression claim must be made with a view to bringing to an end or remedying the matters complained of, the nature and extent of the minority oppression would affect the type of remedy that the court may impose under s 216 of the CoA. Determining that a minority oppression claim is arbitrable on the basis that the minority shareholder is only asking for remedies and reliefs which an arbitral tribunal is able to make may prejudice the majority shareholders as the remedy or relief granted by the arbitral tribunal may not be the most appropriate in the case. Therefore, unless all the shareholders are parties to the arbitration agreement and they agree to limit the remedies or reliefs to those which an arbitral tribunal is empowered to grant where minority oppression is found, the minority oppression claim should not be arbitrable. The case is pending an appeal before the Court of Appeal this year. It remains to be seen if the apex court will endorse the High Court’s approach or select one of the four alternative approaches outlined above.